I think I knew I was biting off more than I could chew, but this is Amsterdam, home of some of the world’s greatest museums and rich with history. I actually only went to four museums, but it feels like it was much more. And it didn’t help that I never stopped to take a break or have lunch. I’m not sure what I was thinking. I started with the Rijksmuseum, which, whenever I type it, the spell check changes to Rick’s museum. I got the audio guide and decided to just follow the highlights tour, which was 90 minutes, but it took me two hours because next to the highlights are all these other beautiful paintings. It is an exceptional painting. Group portraits were commonplace in the 17th century, but Rembrandt, in this painting, gives it action rather than portraying the subjects as if they are posing. 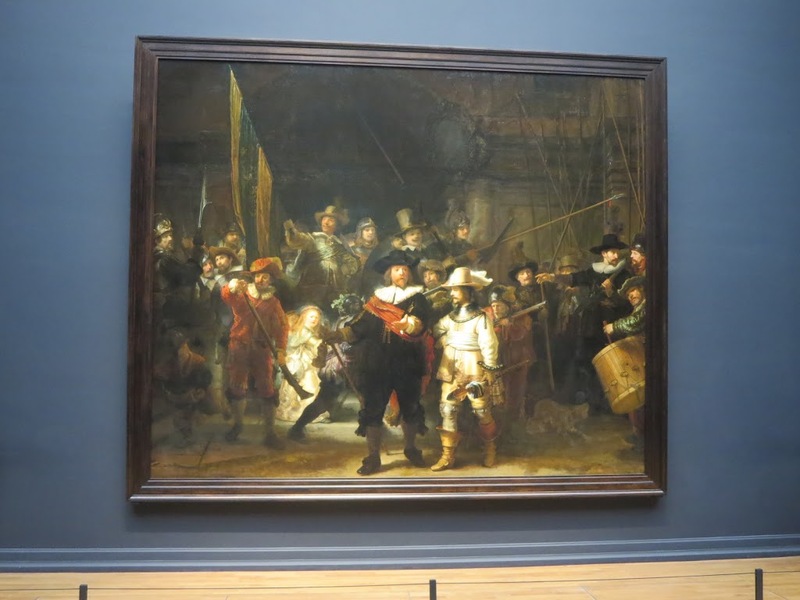 I loved so many of the paintings in the Rijksmuseum. Vermeer, Jan Steen, and Franz Hals are probably my favorites from the 17th century, but I also discovered an artist I was not familiar with: George Hendrix Breitner, a Dutch painter who lived from 1857 to 1923. After I left the Rijksmuseum, I headed to the Jewish History Museum. This is located within four connected Ashkenazic synagogues from the seventeenth century, and it provides a good overview of the history of Jewish life in Amsterdam, from the arrival of Sephardic Jews who left Spain and Portugal in the wake of the Inquisition, and the later arrival of Ashkenazic Jews escaping persecution in eastern Europe. In addition, there is a Portuguese synagogue nearby that is still in use. From there I went to the Dutch Resistance Museum, which depicts how the Dutch people dealt with the German occupation. 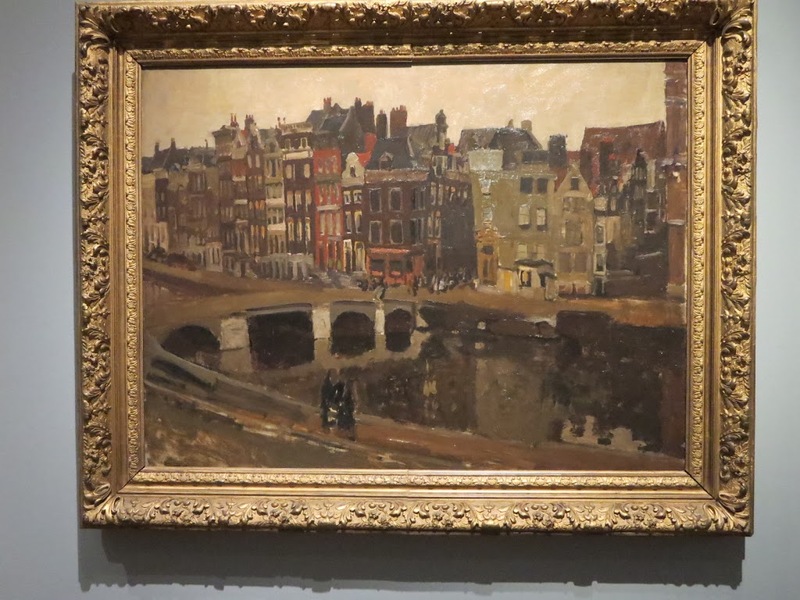 And then I went to the Van Gogh Museum. Of course, many of Van Gogh’s paintings can be found elsewhere (I saw “Starry Night” at the Museum of Modern Art when I was in New York last year), but he did over 900 paintings, an astonishing number considering they were mostly all done in the last ten years of his life, and the Van Gogh Museum has 200 of them as well as drawings and letters. Photographs weren’t allowed inside, but it’s easy to find photos on the Intranet of his best paintings there and elsewhere. I think I’m done with museums in Amsterdam. I should have spaced these out over today and tomorrow, and I should have interspersed some smaller museums. Tomorrow I think I will enjoy the museum that is the city of Amsterdam.